Fresh fruit, refreshing, and delicious -- who doesn't love a smoothie? San Diego has plenty to choose from. 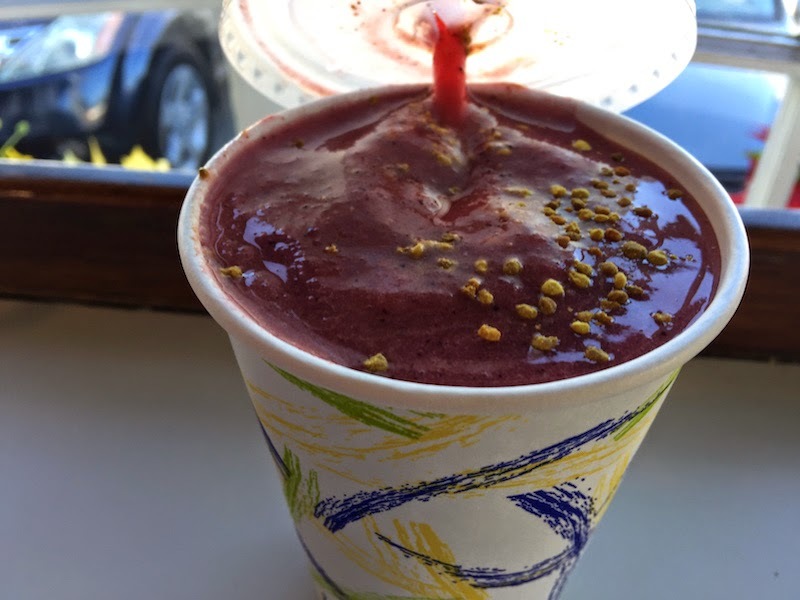 Which smoothies made it onto my list of best smoothie places in San Diego? Read my list after the jump. Starting from Urbanspoon's list of best San Diego smoothies, we hit as many smoothie shops as we could during our visit last month to San Diego. We skipped the chain shops (Jamba Juice, Robeks, etc.) in favor of local smoothies. Most often these were in fruiterias (or, fruterias without the "i") which have fresh fruit on display, and serve tortas (sandwiches) along with the fruit smoothies and fruit juices. Fresh ingredients: fresh fruit and juice. The fruit should be whole before it gets cut up and goes into my smoothie. Not too cold or icy: I don't want a brain freeze when I drink a smoothie! 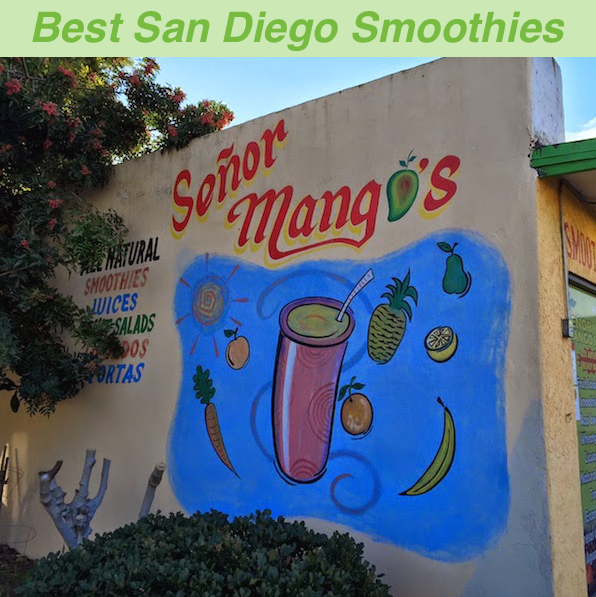 It's located right next door to a fruit market in University Heights, so it's no surprise that Señor Mango's smoothies are full of the freshest fruit. And don't miss their veggie and meat tortas. Señor Mango's opens early so you can grab a smoothie on your way to school or work. It's made with pitaya so it's healthy. It tastes great. And it's purple. 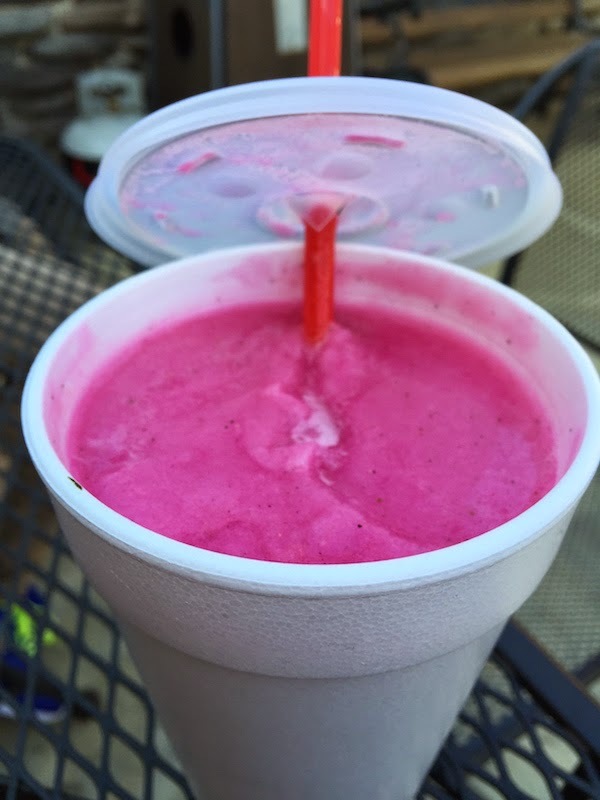 So the dragonfruit smoothie at Chronic Smoothie makes the my list of best smoothies in San Diego. Fresh fruit, full of mango-ness, and exactly the right temperature; in other words, no brain freeze! 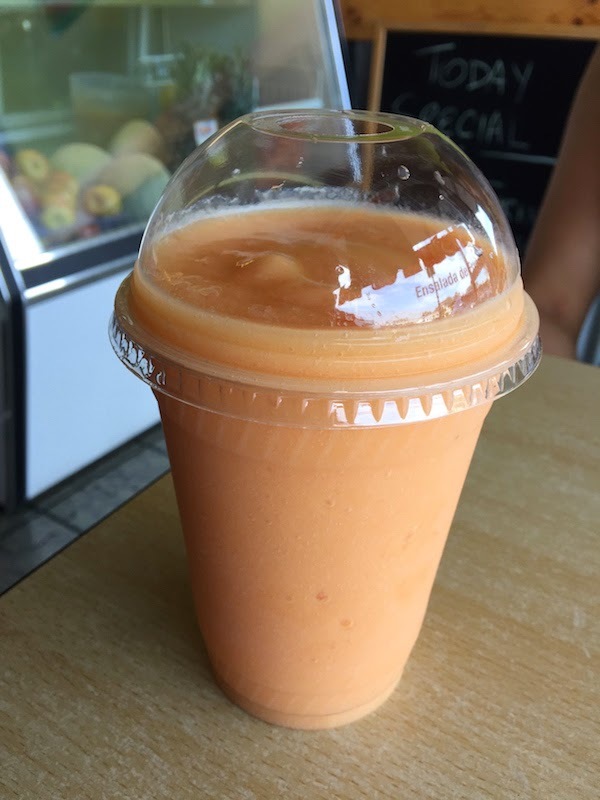 The mango smoothie at Papayas Juice Bar and Fruteria is delicious and there's indoor seating to enjoy your smoothie on a hot day. I would put Orange Inn on my list of Top 3 San Diego Smoothies except that it is about 45 minutes north of San Diego in Laguna Beach. 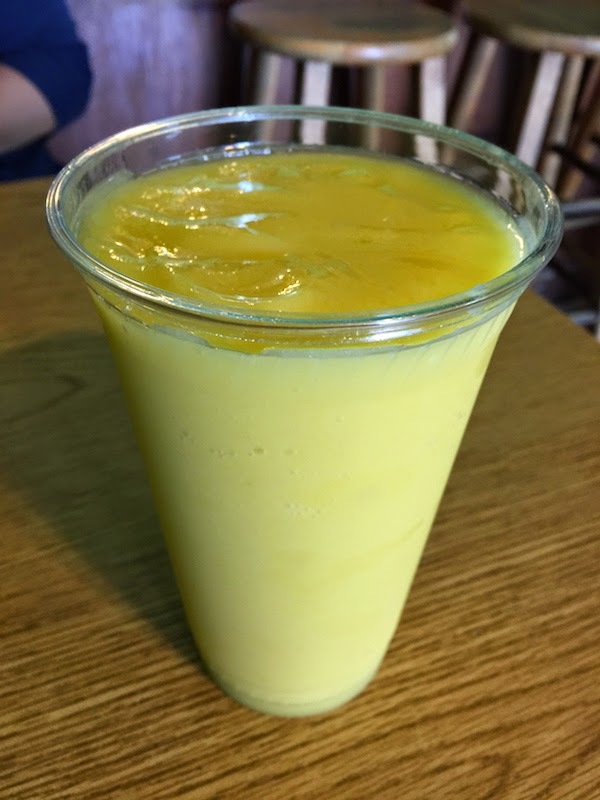 If you are driving down Highway 5 from Los Angeles on your way to San Diego, be sure to stop in and try the place that created the original smoothie. The honey pollen on the top adds a nice touch, too. What's your favorite San Diego smoothie? Let me know what you think is the best smoothie in San Diego in the comments below. I'd love to hear your suggestions and try them for myself the next time I'm in San Diego.